Don Chamberlin has devoted 33 years as a financial advisor to helping people plan a comfortable future. In fact, he originally founded The Chamberlin Group in 2002 with the goal of assisting families who wish to preserve their legacy for themselves rather than Uncle Sam. By combining tax, income, estate, and insurance planning, he created a one stop shop to assist St. Louisans with their complete financial future. As the President of the St. Louis Chapter of the American Financial Education Alliance (AFEA) Don has taught classes for this non-profit National Education organization at University of Missouri St. Louis, Missouri Baptist University, the St. Louis County library system, as well as at Fortune 500 companies. In the National media Don has been published in articles from Money Magazine, USA Today, U.S. News & World Report, Financial Planning Magazine, Retirement Advisor Magazine, Financial Times, Life Health Pro, and several others. 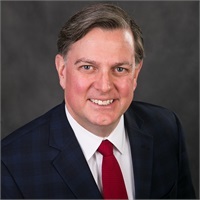 Locally he has been quoted by the St. Louis Post-Dispatch and Illinois Business Journal as well as being a contributor on KTVI Fox 2 St. Louis in the Morning.